In 2016, Combined Driving event history was made at Live Oak International when we marked our 25th year. The event has grown from humble beginnings into to one of the largest Combined Driving & Show Jumping tournaments in the country. Today, the competition attracts some of the best drivers, trainers, coaches and owners from around the world. Over the years, tens of thousands have come to watch the driving and, since 2012, Show Jumping during the Live Oak International Grand Prix. The Show Jumping event draws top riders, including past Olympic gold medalists. 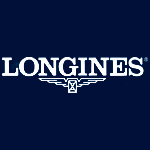 Once again 2018, the Grand Prix is part of the Longines FEI World Cup™ Jumping North American League. The combination of the two disciplines makes Live Oak International a one-of-a-kind event perfect for the seasoned equine enthusiast and the novice alike.Join us for yet another year of top competition under the live oaks held on the grounds of the pastoral Live Oak Stud, a 5,000-acre thoroughbred breeding farm located minutes from Ocala. Not only is Ocala the home of the prestigious Live Oak International, the area boasts some of the best natural wonders in the state, including the breathtaking Silver Springs State Park where one of the largest freshwater springs in the state feeds the Silver and Ocklawaha rivers. The area offers a wide selection of accommodations and a large variety of dining establishments. Come watch Combined Driving event history at Live Oak International and stay for Ocala’s beauty. What began as a small event quickly grew each year, attracting top competitors from throughout the world. It is now the largest Combined Driving and Show Jumping competition in the United States. 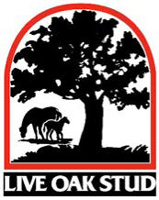 Through sponsor support, Live Oak International is able to offer a first-rate experience for all competitors and spectators. At the same time, it allows the event to raise money for local charities and non-profit organizations.